The team of Precious Plastic Greece and the Social Cooperative Entersprise APANO MERIA Syrou is ready now to teach us and demonstrate how to create the machines that will recycle plastic and transform it into other useful items or art! 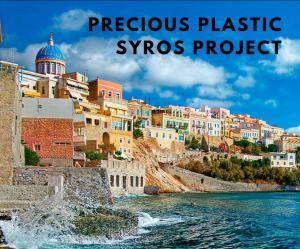 Join the workshops and open events organized during 19-20-21 April on Syros island by registering here! Learn more about this great initiative, fully supported by the CPF!